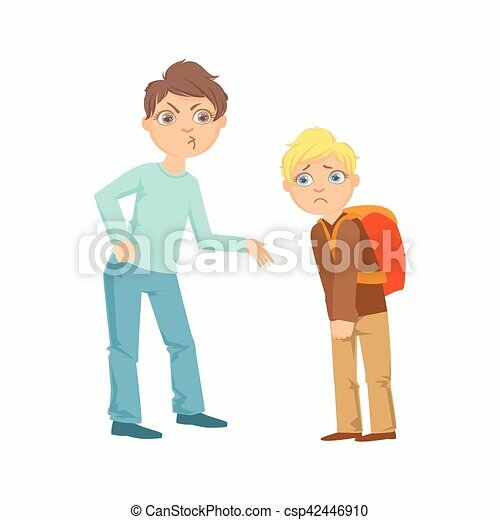 Boy Exorting Money From Weaker Kid Teenage Bully Demonstrating Mischievous Uncontrollable Delinquent Behavior Cartoon Illustration. Cute Big-Eyed Child Vector Character Behaving Aggressively And Bullying Other Children. 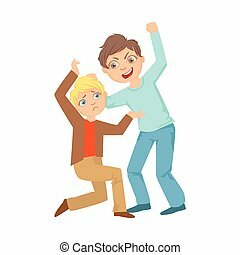 Boy Beating Up Smaller Kid Teenage Bully Demonstrating Mischievous Uncontrollable Delinquent Behavior Cartoon Illustration. Cute Big-Eyed Child Vector Character Behaving Aggressively And Bullying Other Children. 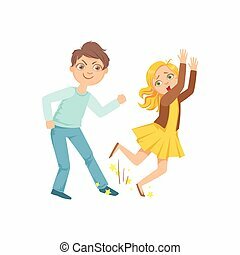 Boy Tripping Smaller Kid Teenage Bully Demonstrating Mischievous Uncontrollable Delinquent Behavior Cartoon Illustration. Cute Big-Eyed Child Vector Character Behaving Aggressively And Bullying Other Children. 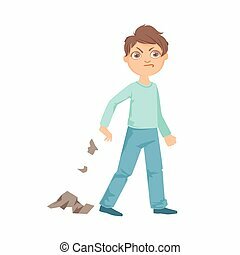 Boy Littering Teenage Bully Demonstrating Mischievous Uncontrollable Delinquent Behavior Cartoon Illustration. Cute Big-Eyed Child Vector Character Behaving Aggressively And Bullying Other Children. 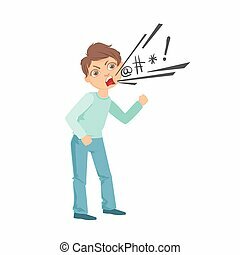 Boy Cursing Teenage Bully Demonstrating Mischievous Uncontrollable Delinquent Behavior Cartoon Illustration. Cute Big-Eyed Child Vector Character Behaving Aggressively And Bullying Other Children. 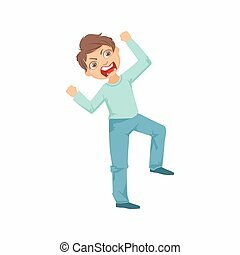 Boy Screming Angry Teenage Bully Demonstrating Mischievous Uncontrollable Delinquent Behavior Cartoon Illustration. Cute Big-Eyed Child Vector Character Behaving Aggressively And Bullying Other Children. 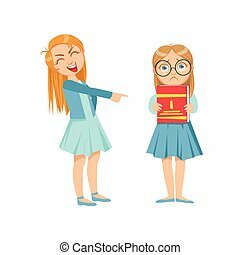 Girl Mocking Clever Kid In Glasses Teenage Bully Demonstrating Mischievous Uncontrollable Delinquent Behavior Cartoon Illustration. Cute Big-Eyed Child Vector Character Behaving Aggressively And Bullying Other Children. 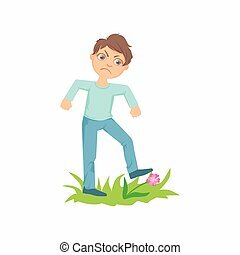 Boy Walking On Lawn Grass Breaking Flowers Teenage Bully Demonstrating Mischievous Uncontrollable Delinquent Behavior Cartoon Illustration. Cute Big-Eyed Child Vector Character Behaving Aggressively And Bullying Other Children. 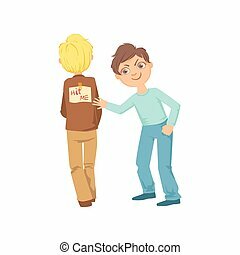 Boy Pinning Joke Poster On Another Kids Back Teenage Bully Demonstrating Mischievous Uncontrollable Delinquent Behavior Cartoon Illustration. Cute Big-Eyed Child Vector Character Behaving Aggressively And Bullying Other Children.